Must see big and loud. This trippy animated experimental film is a perfect marriage of sound and image. Shot at the aspect ratio of 2.76 to 1 this is a reason to go to the movies. Trust me this film will overwhelm you. A short pilot/proof of concept intrigued me from the moment I saw the trailer. Set in Tijuana just as prohibition begins the film begins with the American wife of the new chief of police as she begins to use her wiles and her husband’s new power to make money running liquor north into America. While the 15 minute pilot does little more than set things up, the series is full of potential. As many of my friends know I don’t watch much episodic television but Tijuana has my attention and should it go to series I would definitely revisit to see how much of the potential is realized. I'm not going to say a great deal about NO. 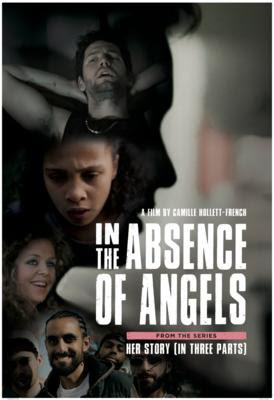 3 IN THE ABSENCE OF ANGELS other than it is one of the best films at the festival. A kick in the chest that will deflate you. The story of the aftermath of a brutal sexual assault it is painful and real and will make you want to look away.